Once and a while, a rare dram will make an appearance in Mumbai. Such was the case one fine monsoon evening. Our hosts had a rather enviable array of whiskies in their bar and gave me a chance to pick something new to open that evening. As soon as I spotted this one, there was no doubt it was the one to try. 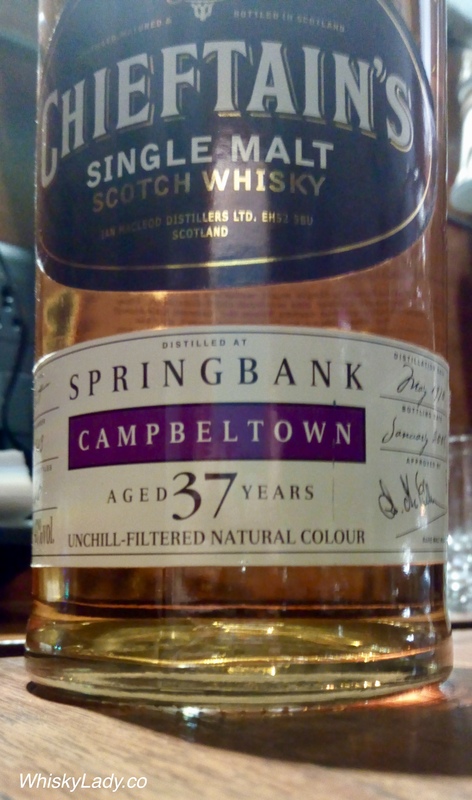 Even more generously, they gave me a chance to take home a sample to share with others, hence it topped off our Campbeltown mini’s evening – like the “show stopper” it was! Bottom line – it was exceedingly enjoyable – in the category of a whisky you could while away an evening with most companionably. There was an inviting, comforting quality, nuanced, balanced and complex yet in an understated way. We counted ourselves fortunate to have an opportunity to be introduced to such a fine whisky. 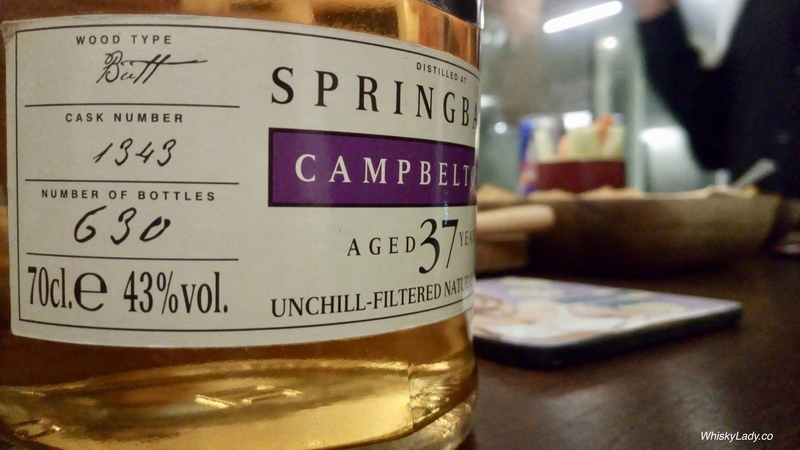 As we went back to revisit all our Campbeltown drams, we noted a common thread of sheer drinkability – each was most enjoyable, no off notes, no harshness, with a common theme of vanilla, baked goods with most also having a light citrus fruit. There are an increasing number of independent bottlers putting out single malts with the distilleries kept deliberately undisclosed. In this case, the bottle was part of Chieftain’s Choice, from Ian Macleod, which tend towards rare whiskies – be it the distillery such as ones that are now closed, age or something specific that makes it unique. Nose – Pure sherry bomb – in every way. Press hard and the different dimensions of prunes, raisins, bitter, rum soaked tart, stewed brandied fruit, then even sweet almond milk is revealed. We pronounced it “Pure desert!” And while it reminded us a bit of a Glendronach, that is pure speculation and we could be off completely. 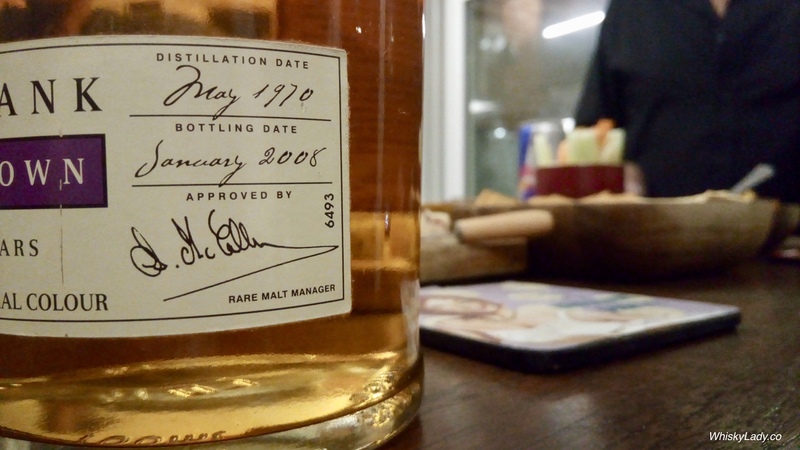 What do we know for certain beyond it being matured in a 1st fill sherry cask? Only that it is from Speyside… and it is an exceptionally good example of an unadulterated sherry cask. If ever anyone is able to share more, we would be most curious to know!